This car started its life in Europe. It is equipped with the (much better looking) small European bumpers. The current owner has had it since 1993. 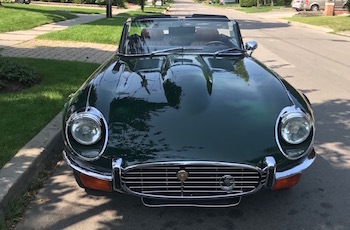 Since being in Canada, the car has been serviced by two well known British Sports Car specialists, Ken Browne Service, and Reg Beer Coachbuilders. Reg Beer rebuilt the engine and everything under the hood in 2006. Gus Sandusky @ Ken Browne has serviced the vehicle every driving season since then. This car is a phenomenal driver. The paint needs minor attention to bring it up-to-date. The car comes with a factory original hard top and a full documented restoration history. Drive this car anywhere!! For Go or Show only $ 84,900.00US or $112,000.00CDN.